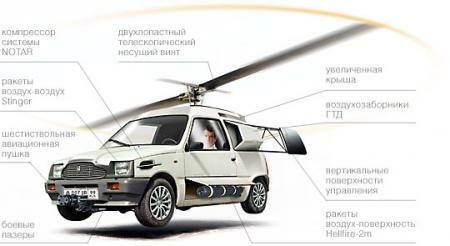 This post is devoted to possible future of Russia’s automobile industry. 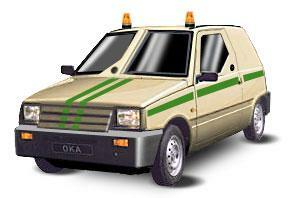 Some years ago a new car “OKA” was introduced to Russian buyers. That’s a 2-doors car compiled from the parts of other cars, for example its cockpit and speedometer is from Soviet car LADA 2101, model 1969. Its engine has two cylinders, like a motorcycle. 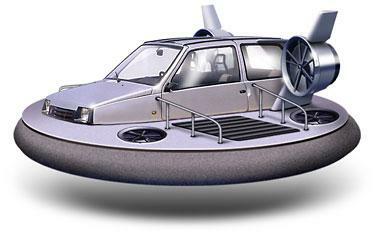 So now there are plenty of possibilities how this car can be used. Let’s see some of them. Some people are not satisfied with a motorcycle engine (I can understand them!) so they insist on putting extra horsepowers. Some say that traffic jams in Moscow are too hard for them to handle so it could be better if the car could fly. And if it could fly then why not to carry some air-ground missiles on board? 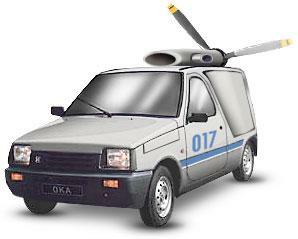 Russian emergency services agree and would order the flying ones for their needs. With some slight wing modification it can gain more air speed. Others say that they need an air-cushion. Banks also want this car for money collection. 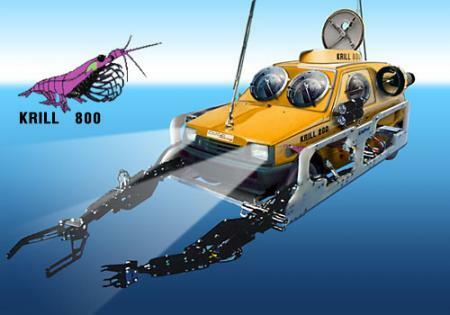 And Russian scientists are interested in turning the OKA car into deep water discovery unit. 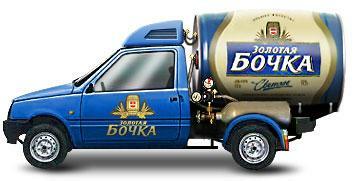 Russian beer manufacturers say that they can use it for beer delievery. 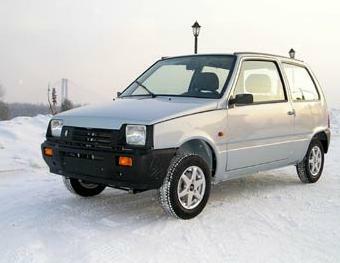 And we all thought the Yugo Koral was rubbish! Very interesting. No relation, I guess to the Australian Oka. Perhaps they can work on an exchange program? Dudes! Grolsch is Dutch beer! Very cool lineup, this looks like some kind of visualisation course for industrial design students. 1987 is almost twenty years ago, so that would be “some years ago” to me. Man o man. I want me one if those rotor wing types. I could have a good time with that..
Hehe, it looks just like my 20 year old Suzuki Alto..
Dido, have you ever smiled in your life? At least once? We also have a Photoshop here, and we like to make funny stuff! 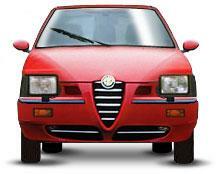 Hey, this car looks like a Daihatsu Cuore!! Anyway, I love the idea. It’s great and fun. Why people so serious about jokes!! !